The life cycle of a customer order encompasses every aspect of unified commerce from the moment a customer places an order to how it is picked, shipped, paid for, delivered and returned. An integrated Order Management System (OMS) has an impact at each stage of the order life cycle and plays a role in accomplishing the most challenging, and most important, part of a retailer’s and distributor’s operations: delivering on customer expectations.This means that a smooth OMS implementation is critical. 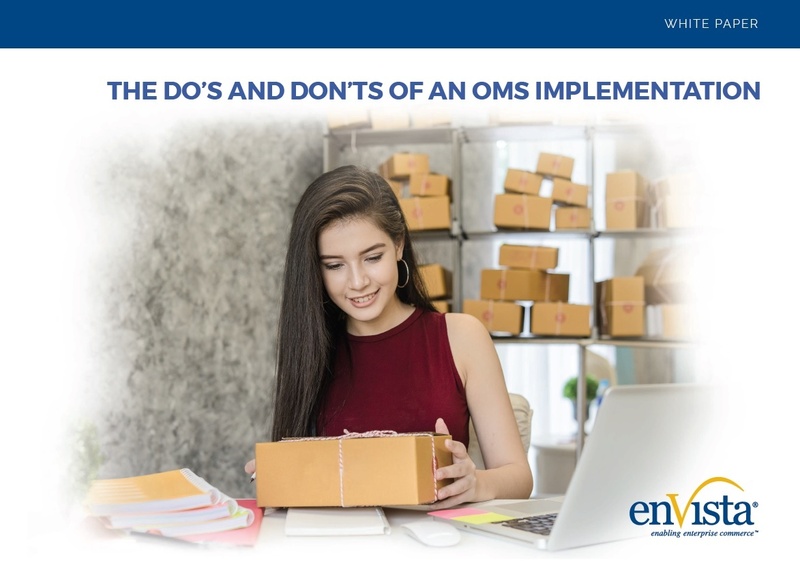 Read this enVista white paper for some Do’s and Don’ts in order to ensure a successful OMS implementation. To learn more, read the full OMS white paper by completing the short form.